Form Phases IV is the last film in Form Phases, the first series made by Robert Breer to lend movement to the abstract forms in his paintings. 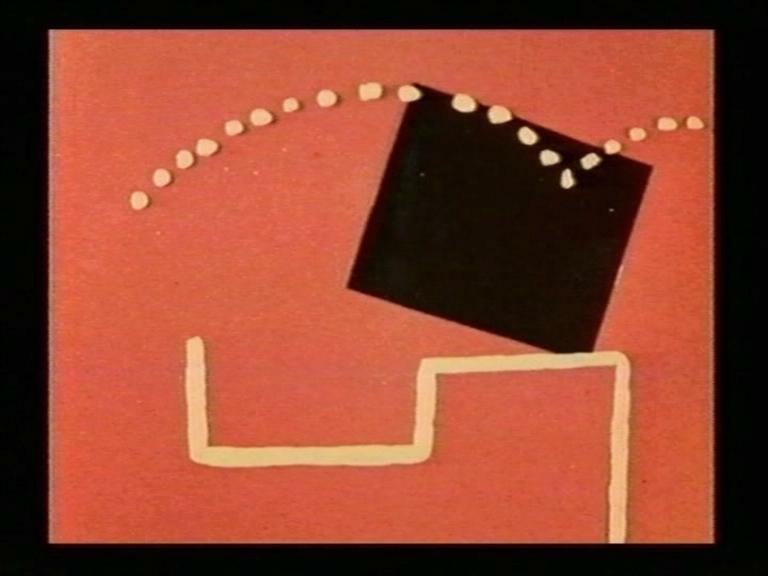 Breer was a self-taught practitioner of animated film, focusing particularly on the demystification of the screen space. This was a theme already touched on in the 1920s by Hans Richter, one of the references for avant-garde European cinema. Richter’s work, specifically his film Rhythmus 21 (also in the Museo Reina Sofía collection), the starting point of abstraction in film, was a decisive influence on Breer’s cinematographic output. Here, Breer applied, in a particularly sophisticated way, the principle by which a static screen is animated by the appearance of a moving shape which then changes as another shape appears, and then disappears, leaving the screen blank, to return once more to its static state. Although his beginnings were in Paris, where he was in contact with the avant-gardes, particularly the Concrete Art movement and the artists Jean Tinguely and Victor Vasarely, his contributions were crucial to the development of avant-garde cinema in the United States. This illustrates how Kinetic Art constitutes one of the bases of the renewal of art following the war, whether as a foundation for abstract and expanded cinema that evolved from the 1960s, or as a renewed alliance between art and the mass media.